As part of the launch of their new health club, Le Meridien were offering Decleor Spa treatments to members and hotel guests. 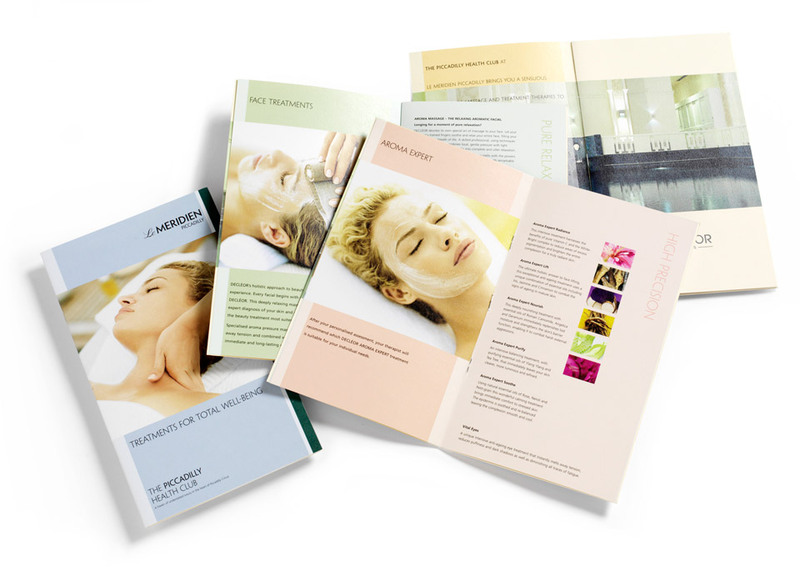 To create a brochure and POS collateral to publicise the Decleor Spa treatments. Guests wanting a relaxing and pampering spa treatment. Gym members wanting to be refreshed after a hard work out or fitness class. Needs to be convenient, easily booked with a good choice of treatments and within great surroundings. There is a big choice of luxurious treatments and I can book a time to suit me. This is just what I need after hard day’s shopping or after my work out. Decleor at Le Meridien – treat yourself! We used textured paper, stunning photography and subtle colour coding to convey a feeling of luxury and well being.